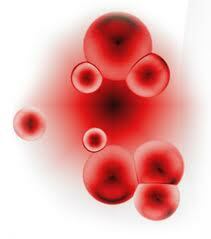 The blood bank has ultramodern gadgets like -80o and -30o deep freezers, refrigerated centrifuges automatic plasma expressors and tube sealers and is recognized as a Regional Transfusion Centre by the Govt. of India with facilities to preparation, store and dispense blood components.The blood bank has a vast array of state of the art equipment for its smooth functioning, which include: Deep Freezers which maintain temperatures of -30 C and -80 C, heavy duty Refrigerated Centrifuge for the separation of components at different speeds, Platelet Agitators, Cryobath, Tube Sealers and Blood Collection Monitors. All the above equipments have automatic temperature monitors and digital readout systems as well as automatic alarms, with continuous temperature surveillance, which ensure the safety of the blood and components issued from the Blood Bank.